The Seal of Biliteracy celebrates students who have multilingual competence – a critical skill in today’s global society and an asset that will prepare Rhode Island graduates for success in the local and global economy. The Seal of Biliteracy certifies that a student has demonstrated skills in the English language and one or more other world languages. 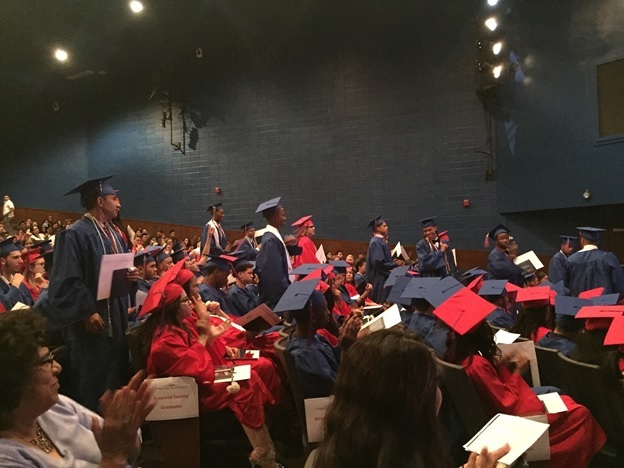 Beginning with the class of 2021, students can earn a state-recognized Seal of Biliteracy by demonstrating competence in English Language Arts standards as defined by the Commissioner Seal or English Proficiency standards, and nationally-recognized world language standards. Our vision is to help students recognize the value of their academic success and see the tangible benefits of being bilingual. Click here for the January 2019 updated information on the RIDE Council Designated Seal of Biliteracy.